What was the last adventure you had? Does it need to be large scale for you to consider it an adventure? 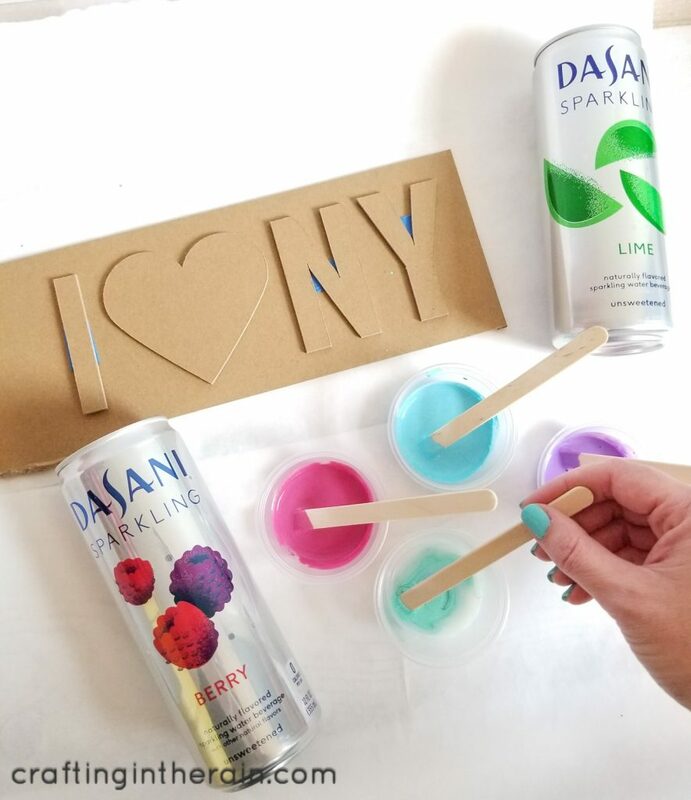 Thanks to DASANI® Sparkling, I started rethinking what an adventure could be, and I decided to be adventurous in my craft room and try a technique that was new to me! I tried paint pouring for the first time, and used it for an album cover for keeping pictures and memories of our trip to New York City this last summer. All while enjoying my DASANI Sparkling. 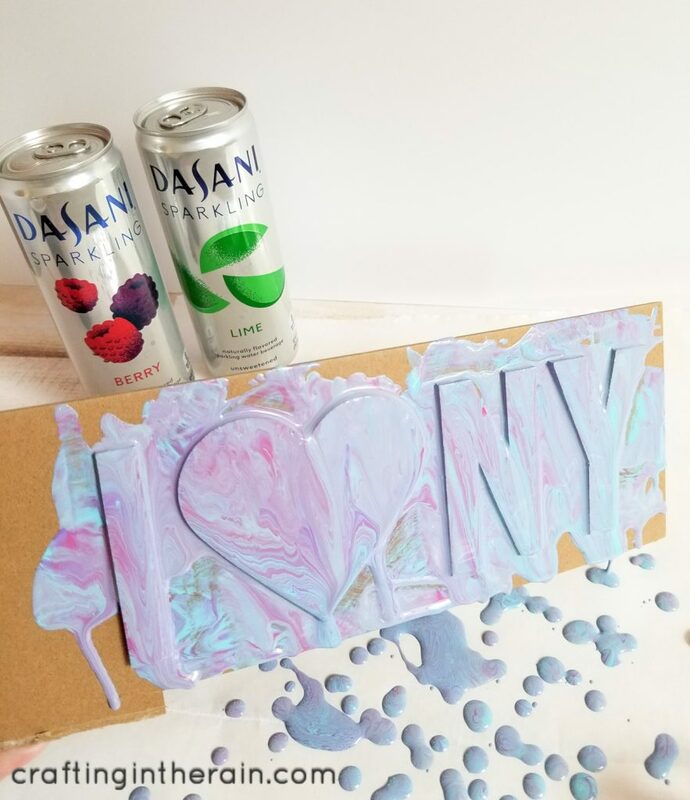 DASANI Sparkling wants to come along on your next adventure. 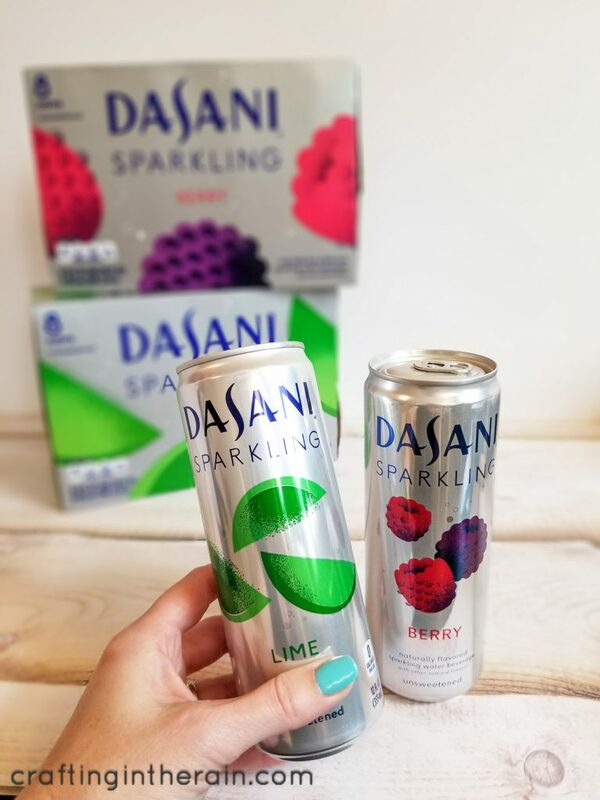 With so many flavors to choose from, DASANI Sparkling has a flavor for every adventure you take, like Pink Lemonade and Lime! Have you ever been to a hot air balloon festival? From October 1st through November 15th, you can enter for a chance to WIN an experiential trip to Albuquerque, NM for the 2019 Albuquerque International Hot Air Balloon Festival! Entering is as easy as 1 and 2. The Grand Prize winner will win a trip to the 2019 Albuquerque International Hot Air Balloon Festival in October 2019 for the winner plus 3 guests! The prize package includes round trip, coach-class air transportation for 4 from a major airport near the winner’s home; 3 nights’ accommodations; rental car; 2 Gondola Club passes (2-day passes) to the Festival; a hot air balloon ride for winner and 1 guest; $1,000 spending money; and travel agent services. I hope someone I know wins so I can hear all about it – go enter! NO PURCHASE NECESSARY. Legal residents of certain U.S. states and D.C., 18 years or older.Ends 11/15/18.For rules, hashtags, alternate methods of entry, odds, prize and complete details, visit https://bit.ly/2vaka0y . Void in CT, FL, IA, ME, MA, MN, NH, NJ, NY, ND, OK, PA, SD, and VT and where prohibited. So let me tell you a little about my paint pouring adventure. I purchased pouring medium and acrylic paint from the craft store. I then cut chipboard with my electronic die cut machine to make the I <heart> NY. I mixed small amounts of paint and pouring medium into little cups, then combined them (without stirring) in a paper cup. 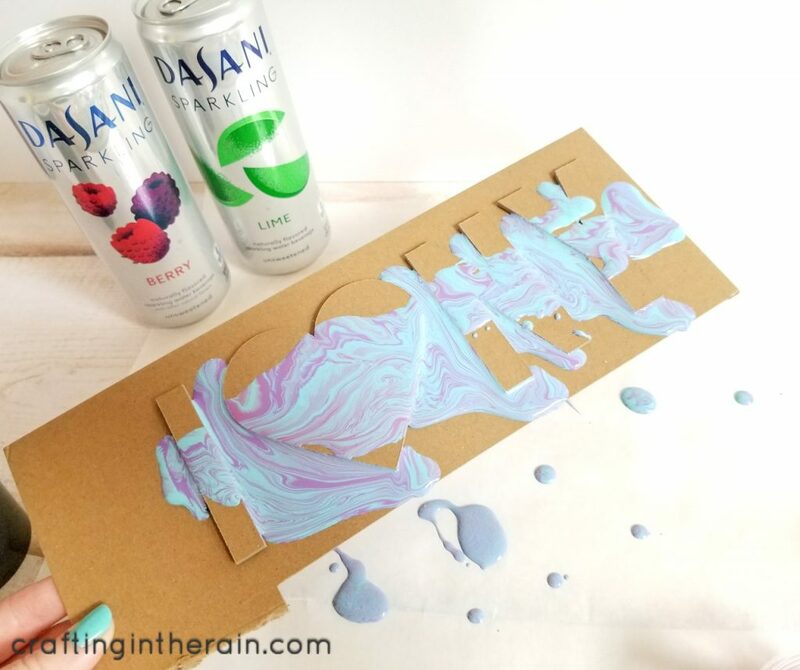 I didn’t want my hands to get paint all over them, so I taped each piece to a larger piece of chipboard so I could pour paint over the whole thing. 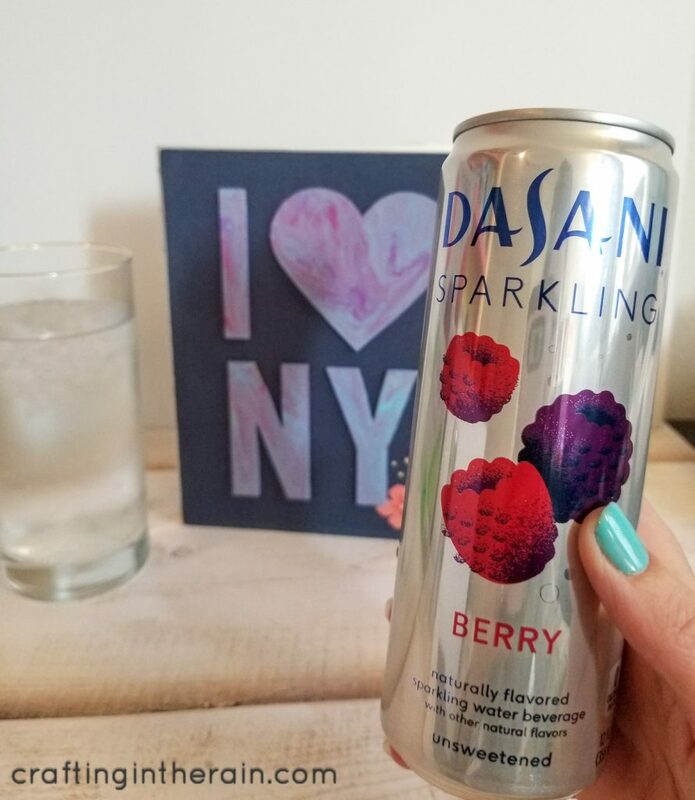 I also discovered that DASANI Sparkling Berry flavor was my favorite. Light and refreshing for my craft adventure! I also grabbed the Lime flavor, both while I was at Fred Meyer, and I’m now on the lookout for Pomegranate Blueberry! Look for it in the water aisle. When everything was covered, the paint had to dry for 24 hours. I used a knife to carefully cut around the edges of the letters to release the paint. I love the pretty marbling! 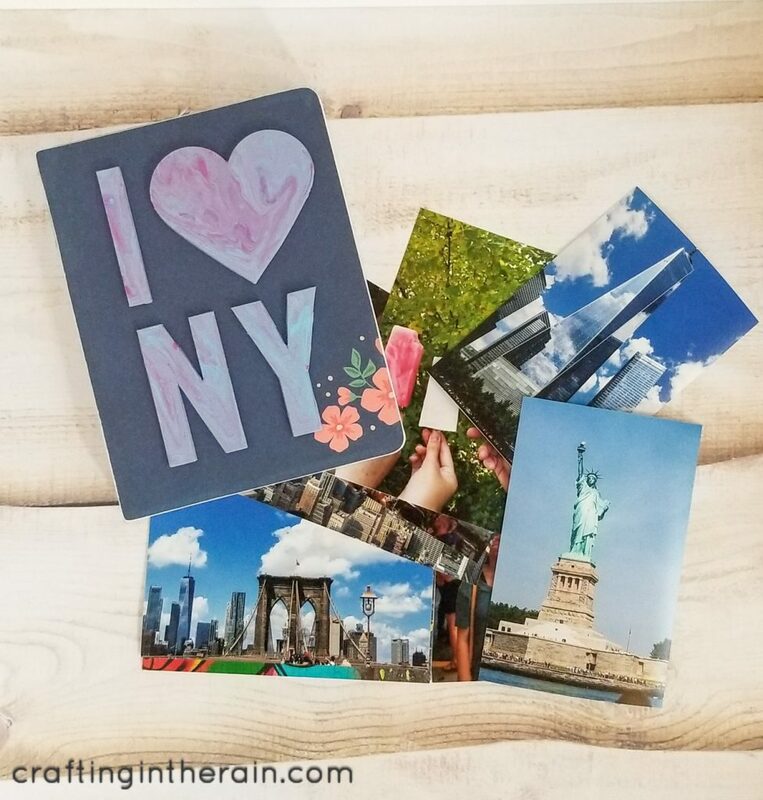 Next, I used paper and glue to decorate the front of my vacation scrapbook, and I added in some of my favorite pictures from the trip. 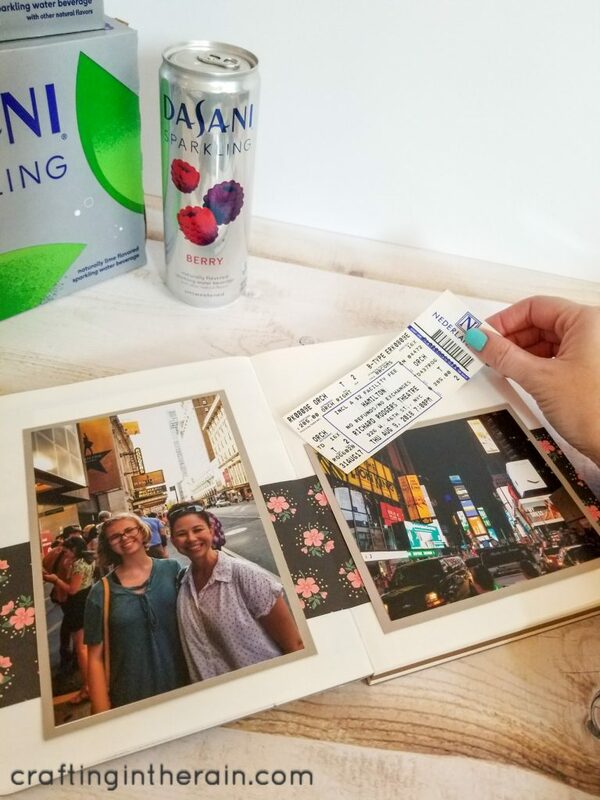 During our time in New York, we went to the top of the Rockefeller Center, visited Trinity Church, enjoyed the Circle Line tour around Manhattan, walked across the Brooklyn Bridge, and saw Hamilton. My husband and I loved the one – on – one time with our oldest daughter. We can’t wait to take our next adventure with our next kid! Maybe your next adventure will be that beautiful festival in New Mexico. Don’t forget to go enter – click here. 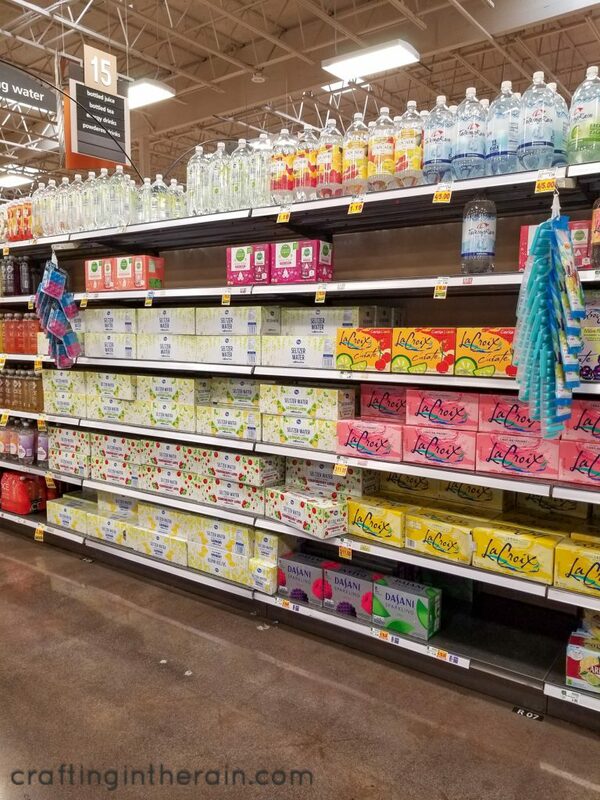 Which flavor DASANI Sparkling at Fred Meyer will you take with you?